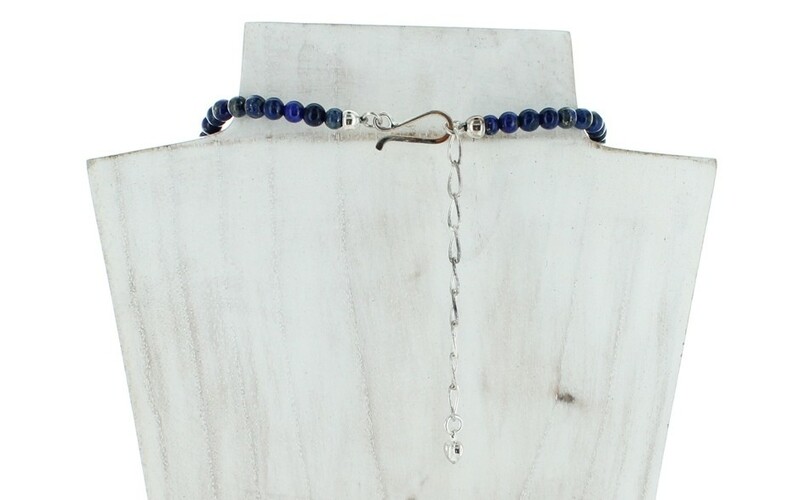 This necklace showcases classic smooth, round lapis beads strung in a graduated fashion and secured with a sterling silver hook and 2 3/4" extender chain. 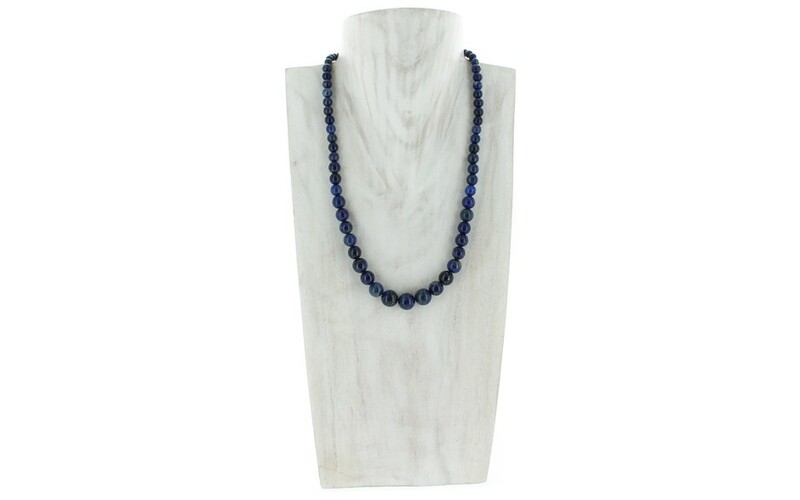 Each bead is polished to a nice shine, enhancing its royal blue color. 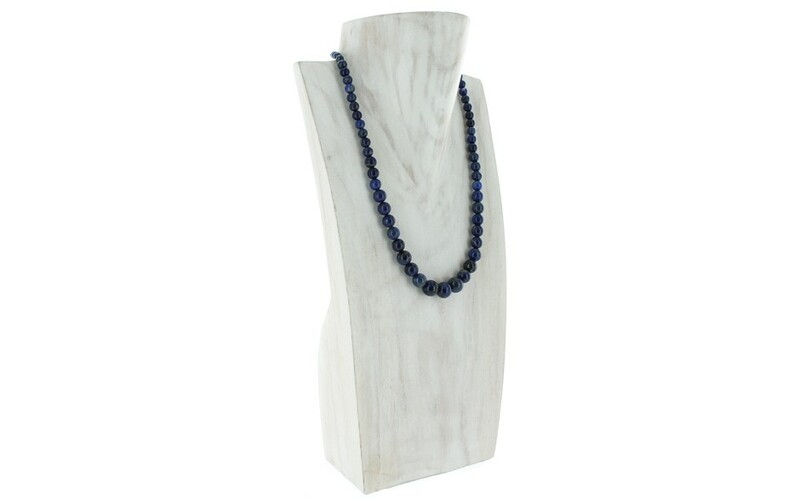 Small flecks of pyrite are sprinkled throughout the stones, which is a natural feature. 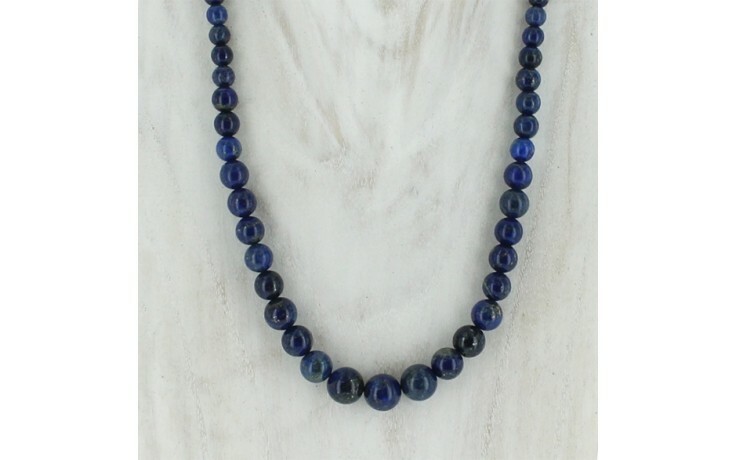 The largest bead measures 10mm and the smallest measures 5mm.